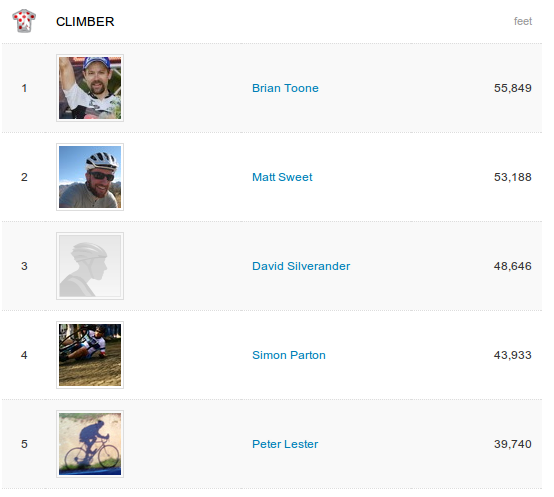 I am winning the Studio Velo KOM competition on Strava, and here is a screenshot of the current standings showing me crossing the 1,000,000 ft mark. The return ride after church was very hot – see temperature graph below – it was in the 90s by the end of my morning ride, too. Temperature graph for my return ride home. VERY HOT! 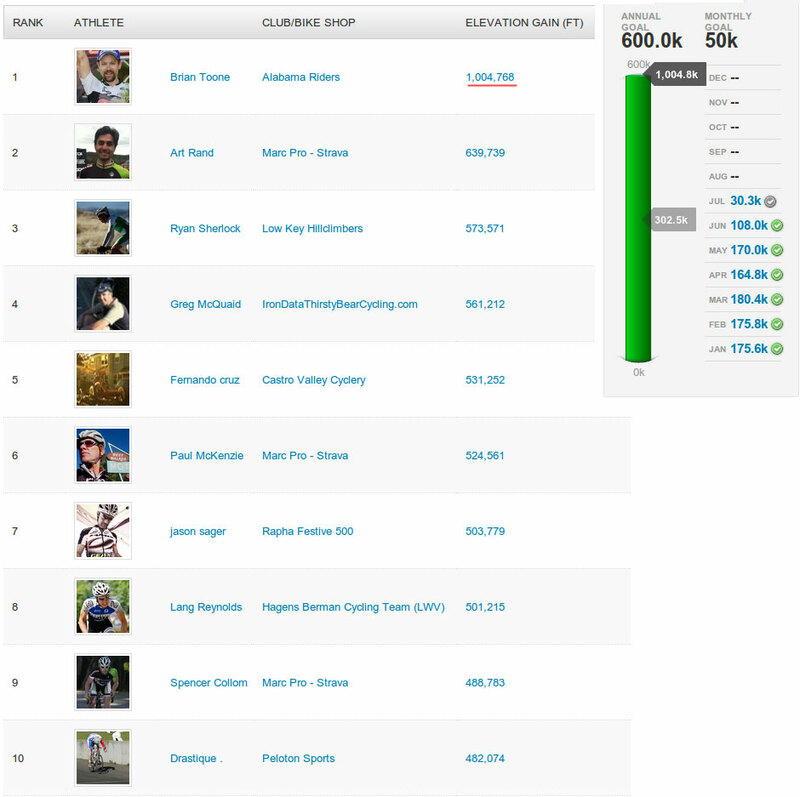 Here is a screenshot of the weekly climbing leaderboard on Strava. 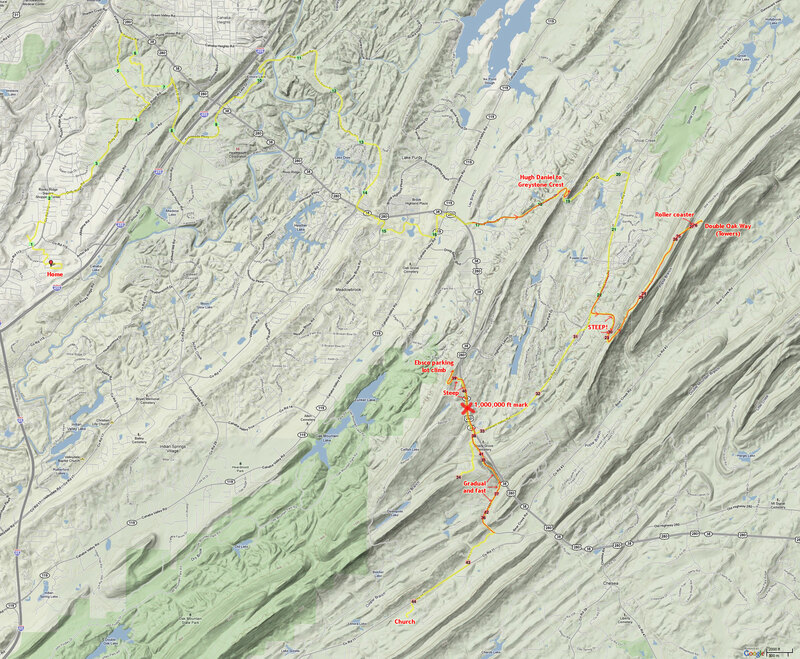 Here are super-hi res topo maps that I made on topocreator of the route and another one zoomed in on the Double Oak climb. 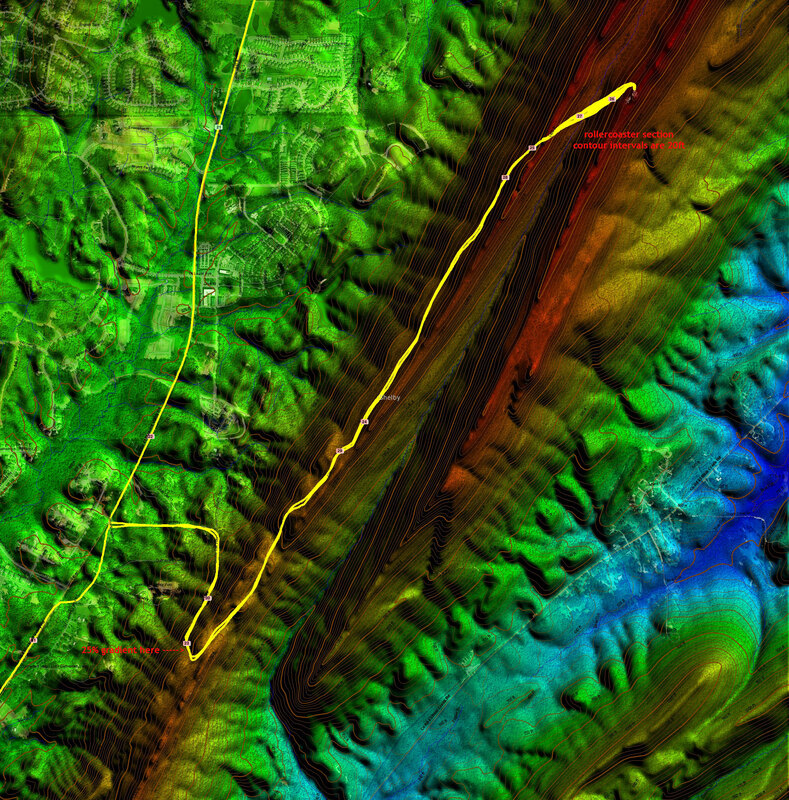 Topocreator map of the entire route – 40ft contour intervals – click to enlarge (6.6MB). 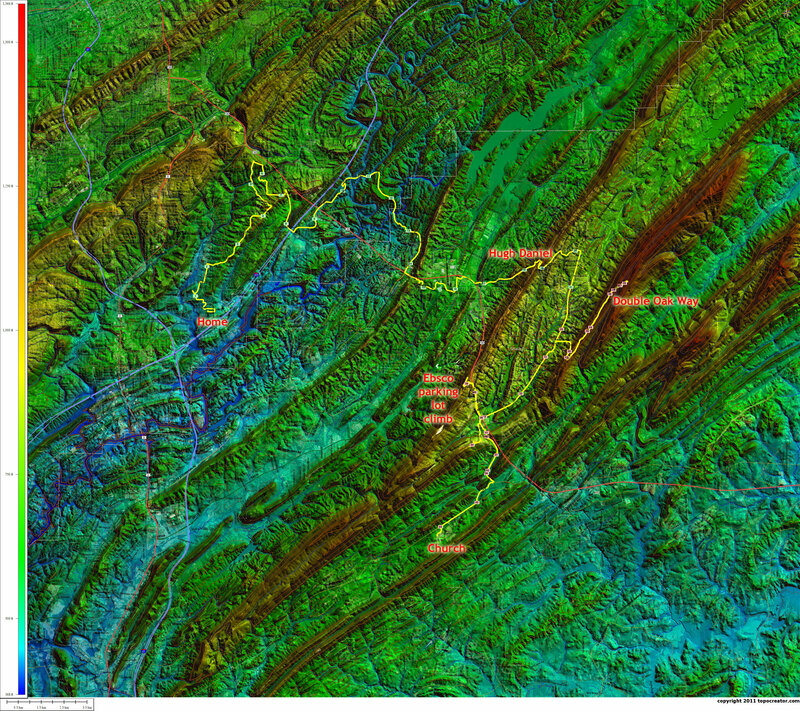 This entry was posted in Training and tagged climbing, kom, strava, topocreator on July 3, 2011 by kartoone. Brian Toone humbly crushes all comers. Well done! Hope you can celebrate the milestone with an easy day and some relaxing family time. Love you!! Haha, thanks John! @Kristine, I wonder if the Wii dance game counts as easy and relaxing? ?